I have been intrigued by archerfish (genus Toxotes) ever since I saw them at an aquarium. They like to feed on insects that crawl around on the plants near the water’s edge. When an archerfish spies an appetizing insect, the fish shoots a stream of water out of its mouth, hitting the insect and knocking it into the water. The fish then goes to the surface and swallows the insect. You can watch a video of this happening by clicking on the picture. Youtube has several other videos of these incredible fish. Obviously, the archerfish has to “know” a lot of physics to be able to hunt the way it does. After all, as soon as the water leaves its mouth, it is affected by gravity. As a result, the stream of water doesn’t travel straight to its target. Its path bends downward, forming a shape called a parabola. 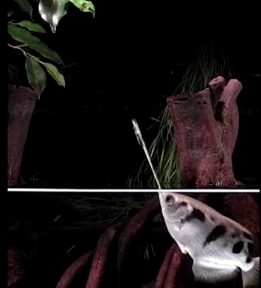 Because of this, the archerfish can’t aim directly at its prey. Instead, it has to aim above its prey, taking the curved shape of the water’s path into account. The light coming from the fish bends when it enters the air, but your brain interprets light as traveling in a straight line. So when your brain constructs the image of the fish, it doesn’t take refraction into account, and therefore it forms the image of the fish at a shallower depth and behind where the fish actually is. Those who try to spear fish while standing in shallow water have to account for this. If they don’t aim their spear in front of the place where they see the fish, they will never hit it. The archerfish, of course, has a similar problem. The light that its eyes receive bends when it hits the water. Because of the way it bends, the fish sees the insect closer and lower than it really is. So not only does the archerfish have to account for the effects of gravity when it aims its water stream, it also has to realize that it shouldn’t aim for the position where it sees the insect. Instead, it should aim for a position that is closer and lower! If all that isn’t impressive enough, scientists have recently found out that the archerfish uses even more physics when it hunts! Peggy Gerullis and Dr. Stefan Schuster decided to build on previous research1 that demonstrated the jet of water coming from an archerfish’s mouth is constructed so that the water bunches up at the head of the stream, hitting the insect with a big glob of water rather than a steady stream. The previous research showed that the glob of water ends up hitting the insect with more power than the muscles of the archerfish could possibly deliver. Gerullis and Schuster wanted to know how the archerfish accomplishes this amazing feat. To figure that out, the first step was to train archerfish so that they would shoot their streams of water where they could be recorded with a high-speed camera. It actually took them about a year to do this, because the fish had to shoot from the specific position where the high-speed camera was aimed, all the while ignoring the glaring lights that were necessary for the photography. Once they had trained the fish to do this, they were able to analyze the streams of water that the fish launched. …the time needed until water assembles at the jet tip is not fixed. Rather, it is adjusted so that maximum focusing occurs just before impact. Surprisingly, the fish achieve this by modulating the dynamics of changes in the cross-section of their mouth opening, a mechanism that seems to not have been applied yet in human-built nozzles. Human-made fluid spitters, such as the nozzles of ink-jet printers, don’t have refinements such as variable-size openings, says Alberto Vailati of the University of Milan. He has also studied archerfish and says the new findings suggest the potential for some fish-based technological innovations. Of course, it’s not surprising that these fish use an innovation that human engineers haven’t even considered. The fish, after all, were designed by the Ultimate Engineer! A good independent perspective of this fascinating research; cf. my article Archer fish use advanced hydrodynamics, Creation 36(3):36–37, July 2014. 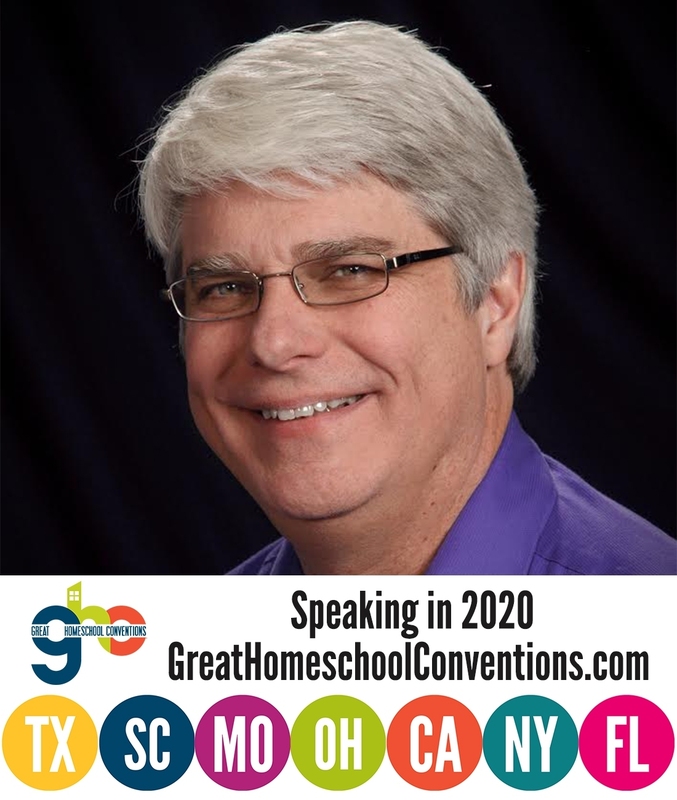 I enjoyed showing this article to the students in my homeschool co-op Chemistry class today. I have a question from one of my students that she asked me to pass on to you (since we are using your textbook). Is there a rule for the order in which elements are written in the formula of a molecule? For example, in H2O, why does H come first? In CO2, why does C come first? I told her that for ionic compounds it seems like the metal comes first, but other than that I wasn’t aware of the rules. Can you help us out here? I am happy to help, David. You are correct that in ionic compounds, you start with the metal. Also, for inorganic acids, you start with the acidic H’s. After those considerations, it is mostly alphabetical. There are a few exceptions, but those three rules cover most chemicals.